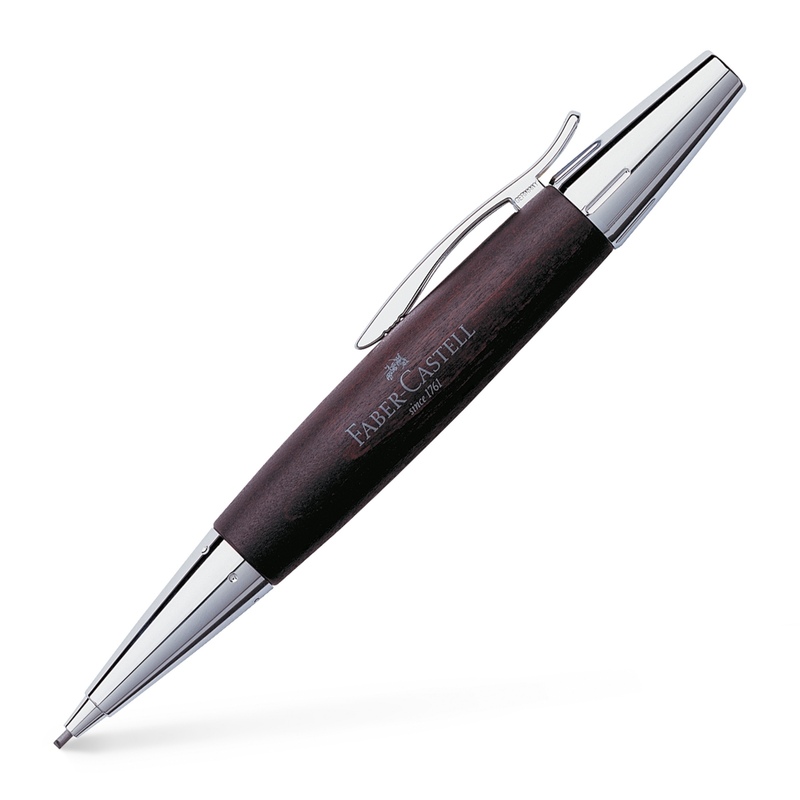 The Faber Castell e-motion mechanical pencil is a unique combination of a chunky turned real wood barrel and chrome cap and fittings. It features a sprung clip on its fluted cap which is engraved with the Faber Castell logo and name. Soft 1.4mm lead.